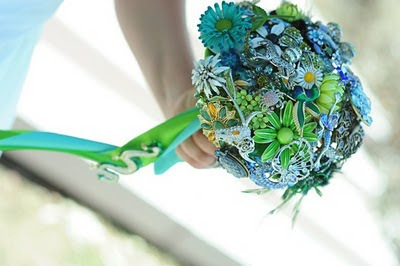 The brooch bouquet - B. 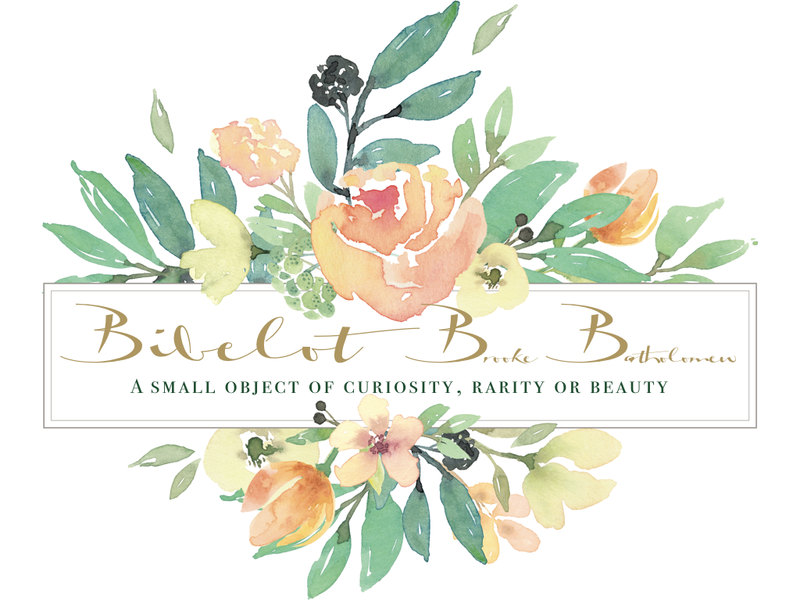 B.
I love all things old, vintage and antique. 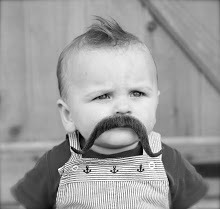 While searching the web I came across this absolutely darling idea. 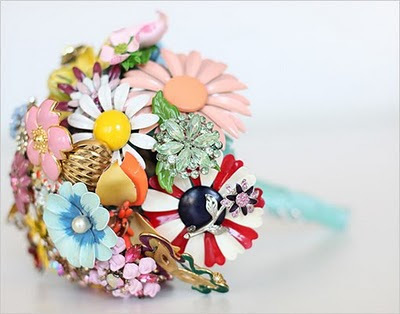 Instead of a flower bouquet, why not make one from old brooches? Now these bouquets don't smell as sweet as the real thing but they are so beautiful and delicate. 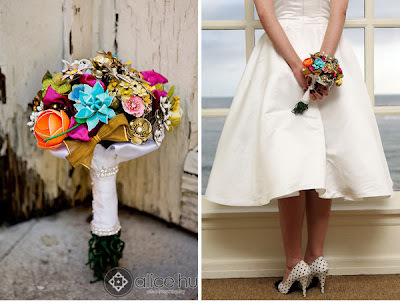 I found these images via Ruffled, who found them via Fantasy Floral Designs. These (almost) rival Maren's bouquets from Elsabette Design. 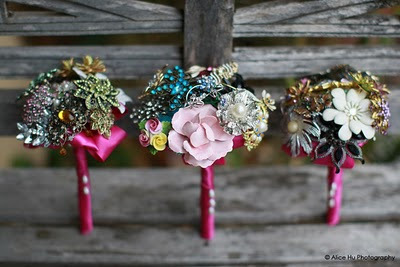 Yet I still prefer the real deal, although these would make for a beautiful second bouquet. 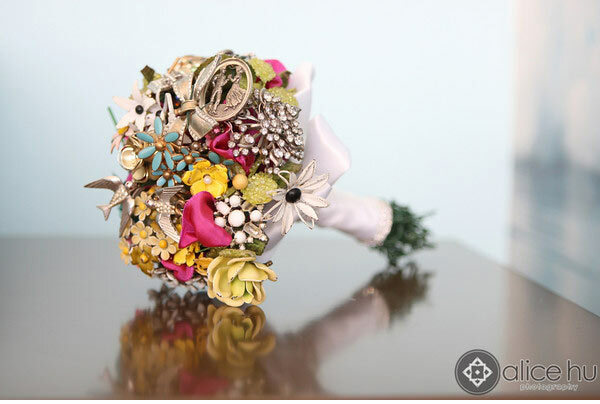 I bet you could combine the 2, real flowers & vintage brooches to create something exquisitely lovely. I LOVE these!!! I wish I had a bride eclectic enough to do this, and that I knew of some great flea markets around- does UT even have them? If they do, or something similar, we should go shopping sometime!